My whole life I have identified with a team. I starting playing soccer when I was 4 years old and despite the frequent moves, I always had a team to rely on. My freshman year in high school I almost didn't run. I told my high school coach I was just going to focus on soccer. When he asked me to reconsider, I came to practice and felt at home with the team. I was lucky to have a group of upperclass-women that taught me humility and helped shape my life as a runner. The team atmosphere propelled me to place second in the state championships my freshman year, and gave me the continued confidence to keep going for it. In college I had a whole new team, stacked with runners better than me. I choose NC State because I knew being surrounded by the best would help me reach my potential, and it did. My teammates were my workout partners, my motivators, my friends, my sisters, and the ones that could give it to me straight when I needed it, (which was often). But, despite all of these things, it took being without a team to realize how it changed me. 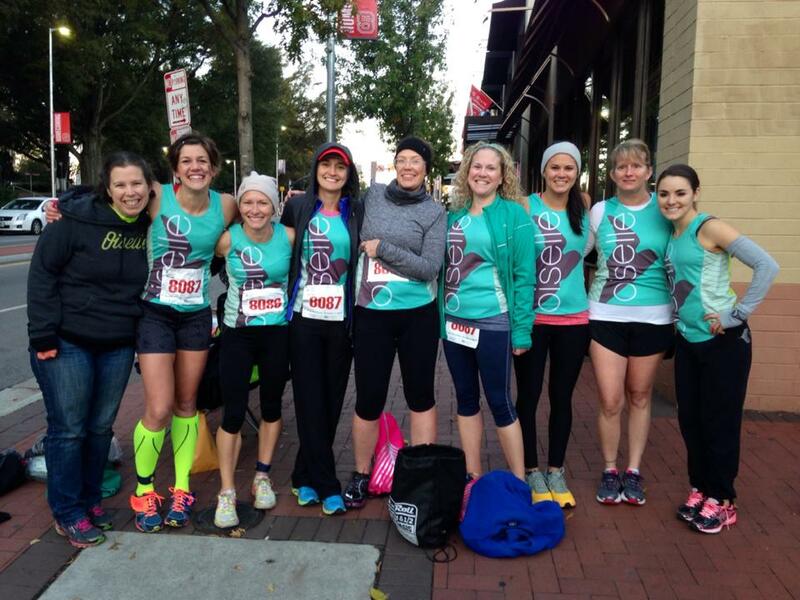 Prior to joining Oiselle, I didn't know that a team was what I was missing. I wanted to be part of it so badly, but hadn't recognized the magnitude of what joining Oiselle would mean. I still remember that first team meet up at the Mellow Mushroom in downtown Durham. I was just so happy to be there, that when Allie Bigelow [one of the NC Volee Team Leaders] very assuredly encouraged me, I was floored. Seeing myself drop 7 minutes off my half marathon time in 2014, allowed me to see the importance of team. The wholehearted support and belief they had in me coupled with loyalty through the good and the bad, is something I have valued more than anything through the last 4 years. It is also something that I believe American distance running needs more of. In came the Raleigh Distance Project. In the last several years I have dreamed of having a team in Raleigh to join. A team that gives more athletes a chance. A team that helps emerging elites reach their full potential. A team that engages the community and brings them along our journey as we seek to make an impact. In a climate where it is very hard to make a life as a distance runner, we want to see that change. With examples like Desi & Shalane proving that American women have what it takes, we need to create opportunities to advance more athletes in this sport. Giving them more opportunities, providing them with hope, and being an example for younger generations. I don't know how many times I have been asked, "You're a professional runner? How does that work?" That shouldn't be a question that has to be asked. I guarantee no one in the NFL or NBA is being asked those questions. We have been failed by the institution that claims to represent us. We pay a yearly membership in order to accept prize money in certain races. In order to watch live coverage we (and the already proportionally small fan base) have to pay. If we aren't in the very top of our sport, the potential for sustainable income is meager. But we want to change that. We want to be part of the rise of women in this country. We want to inspire, motivate, and do something more. And in came Oiselle. Just as was the case for me when I needed that boost, Oiselle has stepped in, taking a chance on the 6 women of the Raleigh Distance Project. As we have grown this team in the last 8 months, we have recognized how Oiselle's mission and values reflect ours. In sharing our stories, being real with our audiences, and wanting to make a difference in as many ways that we can, we felt a deep connection with Oiselle. This big announcement feels so surreal. Is this really happening?